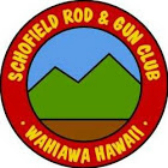 To provide members and guests with a premier rod & gun club experience through our dedicated cadre of member-volunteers. Pono, doing what is right, honest and morally correct (truth and ethics, trust and respect, civility, transparency, gratitude, acceptance and purposefulness). Kuleana, taking responsibility and caring for what is ours (sustainability, member focused, value added, stewardship and shared governance). Ohana, conduct ourselves with respect, kindness, humility and sense of family (shared future, teamwork, collaboration, yet decisive and disciplined).